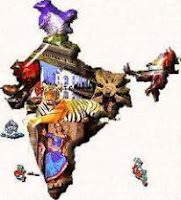 India GK Question Sample Paper 15: India General Knowledge (GK) Sample Question Paper No. 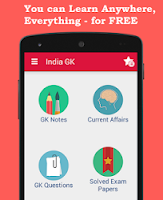 15 with Collection of India GK Questions under GK Quiz in PDF @ India GK Sample Papers. Q.221 "LOHARI" Festival is associated with which state ? Q.222 Which of the following is a biodegradable waste? Q.223 The acid present in the ant sting is ? Q.224 Metal which is a constituent of Haemoglobin? Q.225 The term ‘Economics’ is derived from which Language ? A. break down of glucose and release of energy. B. accumulation of Pyruvic acid. C. formation and accumulation of Lactic Acid. D. formation of ethyl alcohol. Q.229 How many times a solution of pH = 3 be diluted to get a solution of pH = 6?